If blog posts were physical we'd have spilled a lot of ink trying to make the point that getting beyond uncertainty in most things in human affairs should be harder than it seems most people find it to be. Science, social science, religion, philosophy, politics -- a close look at the foundations of what we think we know in any of these fields should at least be sobering. A paper written by Carl Woese ten years ago, in 2004, "A New Biology for a New Century," is worth a look ten years later. Woese, who died about a year ago at the age of 84, was a leading microbiologist, the first to describe the archaeal kingdom of life -- the not-prokaryotes and not-eukaryotes. He also argued strongly in favor of abundant horizontal gene transfer way back at the beginning of life. That is, the not-common direct ancestor. Viruses transfer 'horizontally' among contemporaries, rather than (or, in some cases as well as) from parent to offspring. Chloroplasts and mitochondria are other examples that transferred into cells that joined, perhaps billions of years ago. That is not like the classical Darwinian image of descent from common ancestors, though how common it was at the beginning of life is debatable, as well as how important to current life. Clearly, Woese wasn't averse to finding uncertainty where others didn't, challenging accepted wisdom. And, that's what he did in his discussion of the state of biology in 2004 -- molecular biology as he saw it was too reductionist and too reliant on technology, and thus, in danger of focusing too closely not even on the trees, but on twigs on trees, or perhaps xylem and phloem. His view was that it was becoming impossible to see the larger picture. Or as he put it, "molecular biology could read notes in the score, but it couldn't hear the music." According to Woese, 19th century biology faced two separate challenges -- understanding the gene and the cell, and understanding evolution and the nature of development and the organizational structure of organisms. The first tasks could be, and were attacked in a reductionist way, by the corollary of the view in physics that reality only existed at the atomic level, and consisted of the interaction of atoms and whatever forces made that happen. Using technology, then -- microscopes, PCR machines and DNA sequencers -- we learned a tremendous amount about genes and cells. Cells were the reduced units of organs, and genes of cells, and understanding would be found at those reduced levels. The larger, complex, holistic questions, on the other hand, are not amenable to technological or conceptual reductionism. Indeed, Woese described complexity as "reductionism's nemesis" and he believed that biology continued to concentrate on reductionist approaches at great cost. A heavy price was paid for molecular biology’s obsession with metaphysical reductionism. It stripped the organism from its environment; separated it from its history, from the evolutionary flow; and shredded it into parts to the extent that a sense of the whole—the whole cell, the whole multicellular organism, the biosphere—was effectively gone. It's not that no one was addressing big, non-reducitive questions in the 20th century. Anthropology, evolutionary psychology, economics, psychology, human genetics, and more, gave us the application of reductionist molecular biology to larger questions of a certain kind, so that we now know that how we vote or that we gamble are genetically determined, and that every trait has an adaptive purpose. And that can be traced in a usefully deterministic way to 'genes'. This is often done with a kind of hubristic certainty that doesn't seem justified given how deep questions of complexity still are. But reductionism has created a facile view of evolution, where adaptive Just-So stories are too easy to construct, hard if impossible to prove, and accepted as true, and for which single genes are implicitly given primal roles by the very nature of the reductionism involved. What we've seen far too much of is simplistic answers to large questions that turn the questions into caricatures of themselves. Evolution is reduced to simple linear stories like the one Holly critiqued the other day. Traits are often poorly conceived or arbitrarily defined, and teleologically explained, a problem that Ken wrote about in a couple of posts (here and here) a few weeks ago. Belief (uncritical acceptance of assumptions) becomes the foundation for too many choices about what's true and not true about the world. Darwin saw biology as a “tangled bank”, with all its aspects interconnected. Our task now is to resynthesize biology; put the organism back into its environment; connect it again to its evolutionary past; and let us feel that complex flow that is organism, evolution, and environment united. The time has come for biology to enter the nonlinear world. This hasn't been completely ignored, it must be said. There are many thoughtful people tackling biological complexity. But we know that complexity is stymying reductionist approaches to genetics and yet people keep trying to force the fit, and make reductionism the answer. 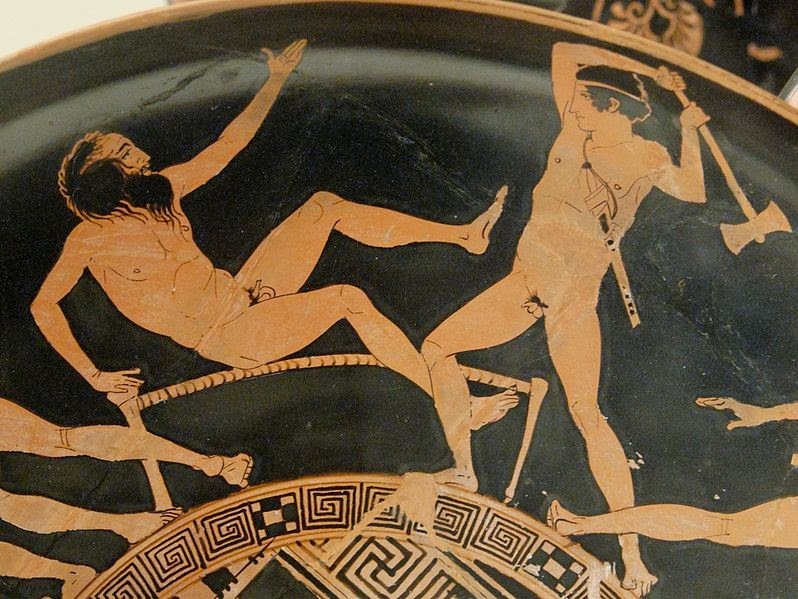 In classical Greek mythology, Procrustes was a criminal who produced an iron bed and made his victims fit the bed...by cutting off any parts of their bodies that didn't fit. The metaphorical use of the word means"enforcing uniformity or conformity without regard to natural variation or individuality." It is in this spirit that Woese characterized much of modern biology as procrustean, because rather than adapt its explanations to the facts, the facts are forced to lie in a bed of theory that is taken for granted--and thus, the facts must fit! Instead, a proper scientific theory makes minimal assumptions, things basically that can't be tested, and develops theory from them and the theory is tested against data. In life sciences we too often assume what really should be tested and, formally or implicitly force the facts to fit. The problem, of course, is that every fundamental that is challenged and tested--such as the nature of the evolution of traits of interest (e.g., the assumption that 'natural selection', and therefore 'genes' are and were responsible), without much more than tautological truth (that is, truth by assumption) provided as evidence. It is a legitimate challenge to develop better criteria for adequately defining, assessing, evaluating, and explaining much of what we can observe in biology. You've got it backwards. Reductionism forces the theorist to explain himself in enough detail that testable predictions can be made, or at least that there are enough details for future generations to read testable predictions into them. Just-so stories and unsupported myths are what you get when you unchain inquiry from the fetters of reductionism. Anyway, the authority of a discoverer consists only in the rephrasings of their ideas to conform to experimental facts. It does not include the discoverer's own words.